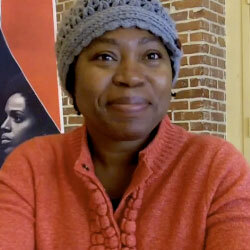 Considering Night Catches Us is just her first feature film, odds are, you aren’t very familiar with writer-director Tanya Hamilton. Hamilton was always an artist, but made a natural transition from painting to filmmaking turning her ability to create a story on the canvas to creating one on the big screen and after over a decade of work, Hamilton brings us Night Catches Us. The film stars Anthony Mackie as Marcus, an ex-Black Panther who mysteriously left town, leaving his family and friends behind without any explanation. Now it’s 1979 and Marcus is back. While everyone he’s ever known is eager to turn their backs on him, embarrass him and attempt to run him out of town, his best friend’s widow, Patricia (Kerry Washington), and her daughter, Iris (Jamara Griffin), welcome him into their home and lives with open arms. Night Catches Us is a monumental accomplishment on a number of levels. Not only is it the result of a lengthy and trying process, especially in terms of financing, but Hamilton also captures the time period in an impressively sincere fashion. In honor of the film’s December 3rd release, Hamilton took the time to explain every step of her journey from changing artistic mediums to recruiting her top-notch leading duo and even a little about her next project. Check out all of that and much more in the video interview below. As a devoted fan of both the ‘Scream’ and ‘Final Destination’ franchises, the latest installments are two of the most highly anticipated releases of 2011. But, as much as I’m looking forward to ‘Scream 4’ on April 15th and to ‘Final Destination 5’ on August 26th, there’s no denying the fact that ‘Scream 3’ and ‘The Final Destination’ just weren’t very good. This is going to be a battle of redemption for each series and while our fingers are crossed both will exceed expectations, the horror film sequel odds are not in their favor. 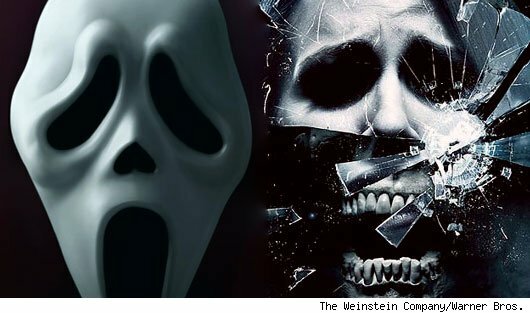 From the moment ‘Scream 4’ was announced, that seemed to be a likely winner. Why would Wes Craven return to a beloved franchise ten years later if he didn’t have a viable reason to do so? Originally, the answer was that he did have the reason to do so and it was likely because someone came up with a good story that made rebooting the franchise a worthy investment. After following the production process from beginning to end, hopes were still high, but then ‘My Soul to Take’ arrived and … yeah. There’s a lot to the world of Harry Potter. We’ve got all these spells with crazy names, people with crazy names, items with crazy names and for those who’ve never read the books or watched the films dozens of times, it’s impossible to remember them all. Having only seen the last film, Harry Potter and the Half-Blood Prince, once, not knowing enough information to understand The Deathly Hallows: Part I was a major concern. Well, there’s no need to worry because as important as all of the details are, the quality of filmmaking is monumentally more important and that’s as evident as ever in this film. Director David Yates delivers such an entertaining, engaging and well-made film, you practically feel as though you’re part of the world yourself and it’s that sensation that not only clarifies nearly every detail, but it makes for an immensely powerful and all-consuming experience. Harry, Ron and Hermione (Daniel Radcliffe, Rupert Grint and Emma Watson) are back, but not at Hogwarts. The search for Voldemort’s Horcruxes is now their top priority forcing them to leave their education and families behind. With the help of Hagrid (Robbie Coltrane), Mad-Eye Moody (Brendn Gleeson), Lupin (David Thewlis) and others, Harry is smuggled to the Weasley’s house for hiding, but when their group is ambushed by Voldemort (Ralph Fiennes), Harry can’t bare to see his friends suffer on his behalf and attempts to venture off alone. That’s when Ron steps in and puts things into prospective; Harry may be the chosen one, but this situation is far bigger than him. A short while later, the Wesley’s home is attacked in the middle of Bill and Fleur’s (Domhnall Gleeson and Clemence Poesy) wedding and everyone scatters. Harry, Ron and Hermione wind up together and knowing that everybody is surely in hiding, opt to take the search for the Horcruxes upon themselves. With just a few cryptic clues left behind by Dumbledore (Michael Gambon), they’re left to trek across the land in hope they’ll uncover more clues along the way. 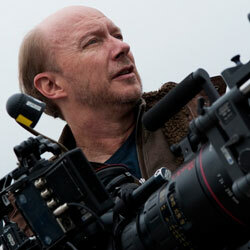 Life is good for Paul Haggis. Not only does he have two Oscars sitting pretty on his shelf, but he’s got three other nominations in the bag and his career continues to flourish. Ever since his shift from TV to film Haggis has almost only delivered critically acclaimed work. First was Million Dollar Baby and then Crash followed by The Last Kiss, Casino Royale, In the Valley of Elah, Quantum of Solace and now The Next Three Days. The film stars Russell Crowe as John Brennan, an English teacher who’s separated from his beloved wife (Elizabeth Banks) when she’s arrested for murder. Convinced she’s innocent, John devotes himself to getting her out. However, what starts out as a lawful venture turns into a daring plot to defy the system and help her escape. The Next Three Days isn’t your typical thriller. It does offer a fair amount of action, but it’s really a character driven drama more than anything and that’s exactly what Haggis intended it to be. While promoting the film for its November 19th release, Haggis sat down to tell us all the details from developing his script from the original film, Pour Elle, to locking down locations, working with Crowe and Banks and much more. He even took the time to address the never ending Crash saga. Check out all of that and much more in the interview below. It’s one thing to walk into a drama and get a little action, but when you opt to check out a thriller that winds up being more of a drama, it’s a bit too difficult to adjust. Making it harder to appreciate a drama with a thrilling twist is a lengthy presentation. There’s a lot that works inThe Next Three Days, if only director Paul Haggis had paid more attention to keeping a proper pace, perhaps that drama would have created more suspense and risen to the level of the film’s more exhilarating moments. Instead we’re left with something that isn’t quite dramatic or thrilling and doesn’t strike a chord as much as it could have. Life is good for the Brennan family, but when Lara (Elizabeth Banks) is dragged out of her house by police officers as her young son looks on, they’re existence becomes anything but ideal. John (Russell Crowe) misses Lara terribly and Luke (Ty Simpkins) refuses to even look at his mother when they go to visit. Lara claims she didn’t commit the crime, but the evidence against her is overwhelming. John soon realizes there is no way to get Lara out of prison – legally. The central plot of The Next Three Days is beautifully simple; a man’s wife is wrongly accused of a crime and the only way they can be a family again is by breaking her out. The problem is, it takes an awfully long time to get there. The opening sequence is fantastic. We get a very brief, but telling dinner scene during which Lara has a harsh yet amusing argument with her sister-in-law followed by a typical morning in the Brennan household. Unfortunately, breakfast doesn’t last long and a barrage of officers demolishes the serene setting. After Lara’s taken away, that’s about it in terms of action for quite a while. Most would think you could never have too many good ideas, however, when you’re trying to pack all of those concepts into just one film, they’ll inevitably flounder. Luckily, writer-director Philip Ridley manages to keep just enough of his plot afloat to make Heartless a worthwhile film, but had he opted to just keep things simple, not only would Heartless be a far better film, but Ridley would still have some of those brilliant ideas to save for later. Jim Sturgess is Jamie, a seemingly sweet and simple guy, but with one major blemish – literally. Jamie has a heart shaped birthmark covering nearly half of his face that tends to turn quite a few heads. The average person’s tendency to stare and unwillingness to see past the birthmark keeps Jamie from having many friends and, more importantly, a girlfriend. The sole lady in his life is his mother whom he loves dearly. When she’s brutally murdered right in front of him, Jamie winds up becoming even more reclusive and guarded than he was before. That is until he meets Belle and Papa B (Nikita Mistry and Joseph Mawle). Papa B invites Jamie into his home and offers to give him a better life. All Jamie has to do in return is spray paint a few monstrous faces around the city. Jamie agrees and leaves birthmark-free. He puts his new look to use right away and finds himself falling for Tia (Clemence Poesy). Things are great until the weapons man (Eddie Marsan) shows up at his door. Turns out, Papa B told a little white lie and Jamie owes him far more than some graffiti. In order to escape the wrath of Papa B, Jamie must cut out someone’s heart and place it on the steps of a church by midnight.